You may know if you're following me on Twitter, that it was my birthday last weekend! Turning 23 but still feeling like a teenager, just with a few more responsibilities haha! This outfit was snapped after me and the boyfriend headed into town to do a little pre-birthday shopping. I managed to pick up tons of bargains in the accessories section of Primark, and also some pretty amazing House of Holland nails from Boots. If you guys are interested, make sure you check out my Instagram, I've posted a few photos of goodies I got on there! Anyway, onto my outfit! 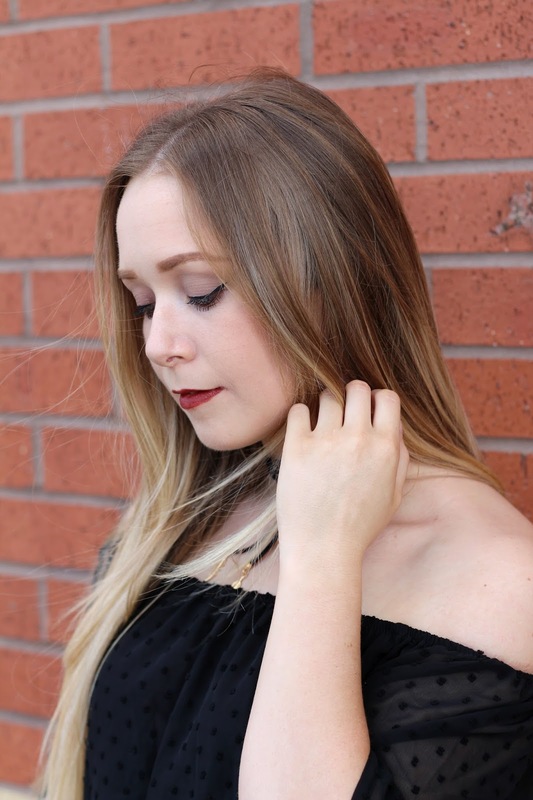 I recently decided that my accessory department was lacking, so after a quick & super easy shopping spree on Zaful, I picked up a few black staples that would spice up any outfit, day or night. First of all, can we just take a minute to appeciate this choker? 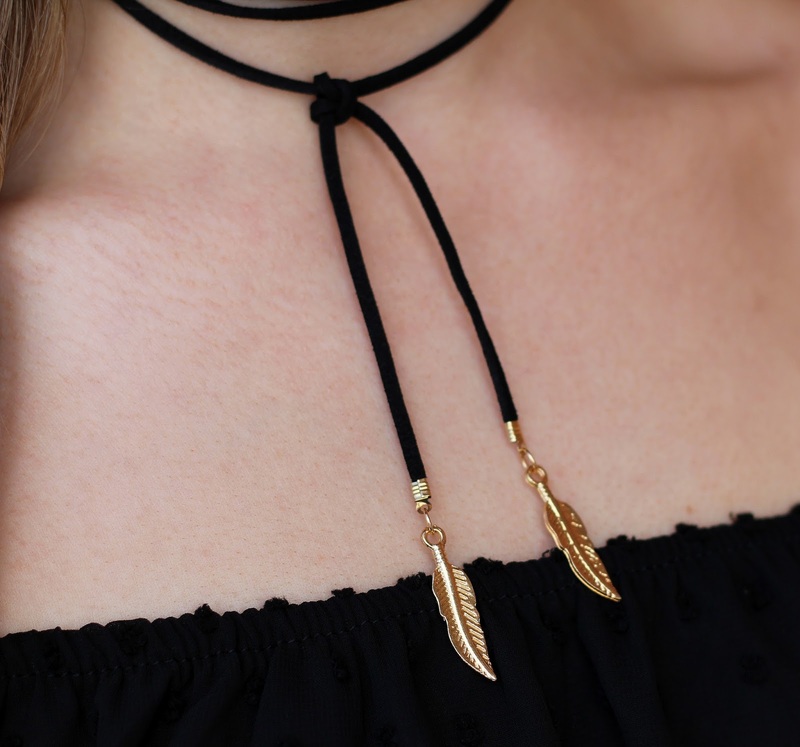 It may only be one long piece of rope with gold feathers on the end, but there are so many variations in ways to wear it, it's probably the best choker I own. I also wore it for my birthday meal here and tied it in a pretty little bow! Another accessory from Zaful that can be worn over and over is this adorable mini tote. 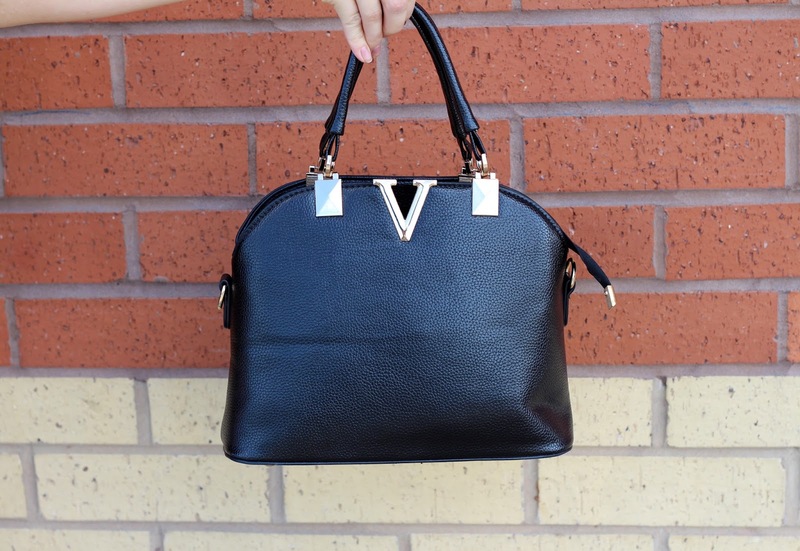 It comes with a removable leather strap, and looks super luxurious with the gold V and detailing around the straps. Bags like these are so versatile, can be worn in summer or winter, and as it is a structured leather bag, it will look newer for longer. 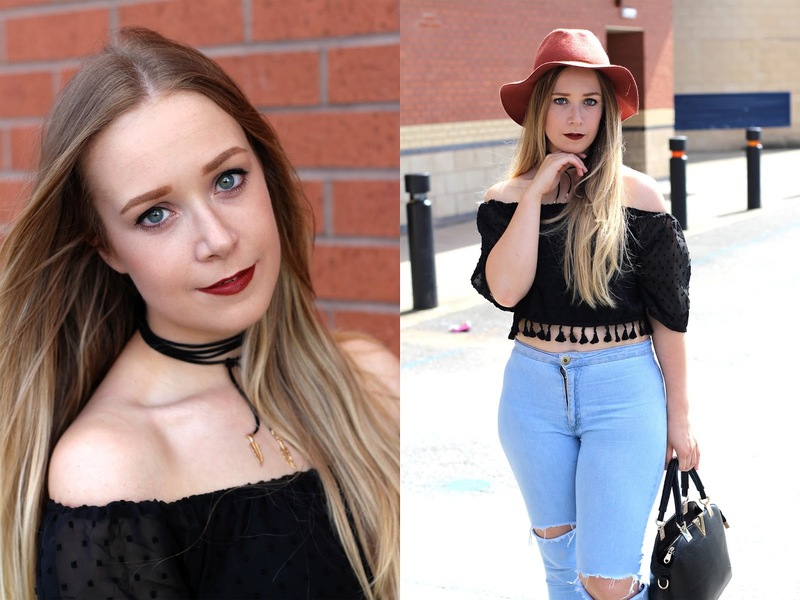 The third and final wardrobe staple that I've recently been loving is from Light In The Box, and is this black off the shoulder top. Again, anything monochrome goes with literally eveything in your wardrobe. 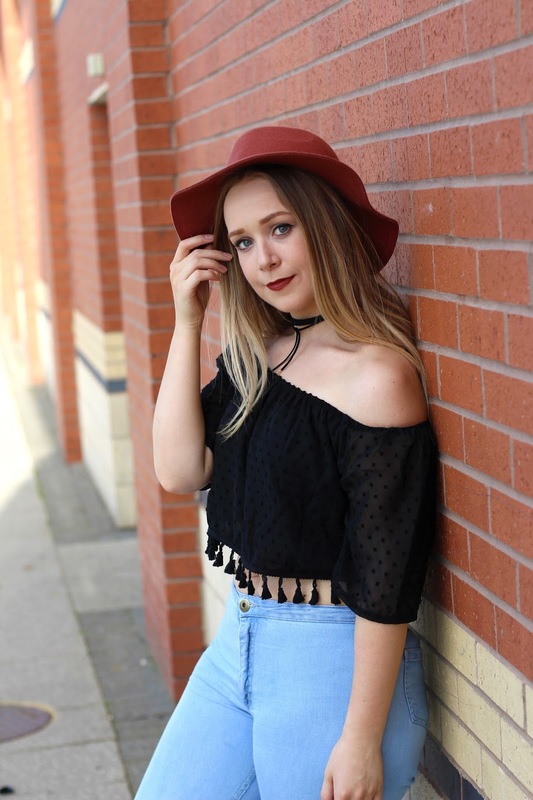 I styled this with jeans and sandals, but it would look amazing with white cigarette trousers and block heels for a night out! It's opaque body with translucent polka dot sleeves adds the most adorable detailing... this one's definitely a keeper!